C-Rex: I don't get what you mean. Cool promo, one that I didn't know existed! 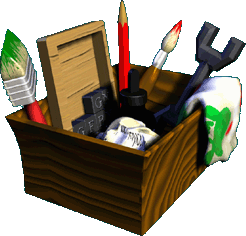 When I saw the title "Box of tools" it made me think of Gameware's marketing team behind Creatures. Sorry, that might be a little harsh.